Someone took great care of that. Possibly even hiding it during and after WW2. 77 years old, cool. Very cool art deco look. These types of games are super addictive. That is REALLY cool in any language. Please post more pics after you clean it up. i will do more better quality photos. Can anyone tell, how much can cost this thing? There can not very many of those remaining in this world. 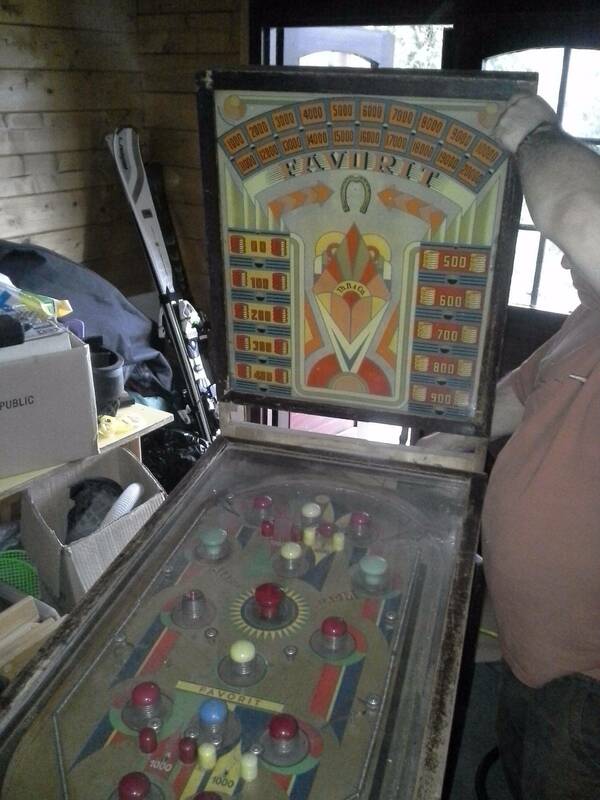 I would have no clue on value, a good bet would be to contact one of the European Pinball museums. Has been converted to use a wall plug, or does it still use a battery? I'll go with an estimate of value, based upon a similar Bally of the same year. As Bally used wood rails there isn't a problem with corrosion as is evident on your machine. 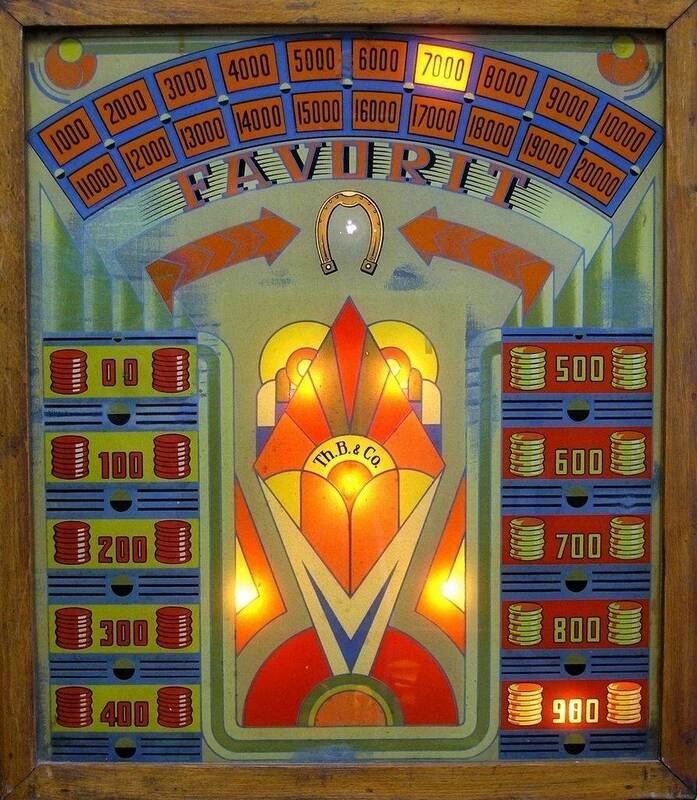 Backglass and playfield look nice. 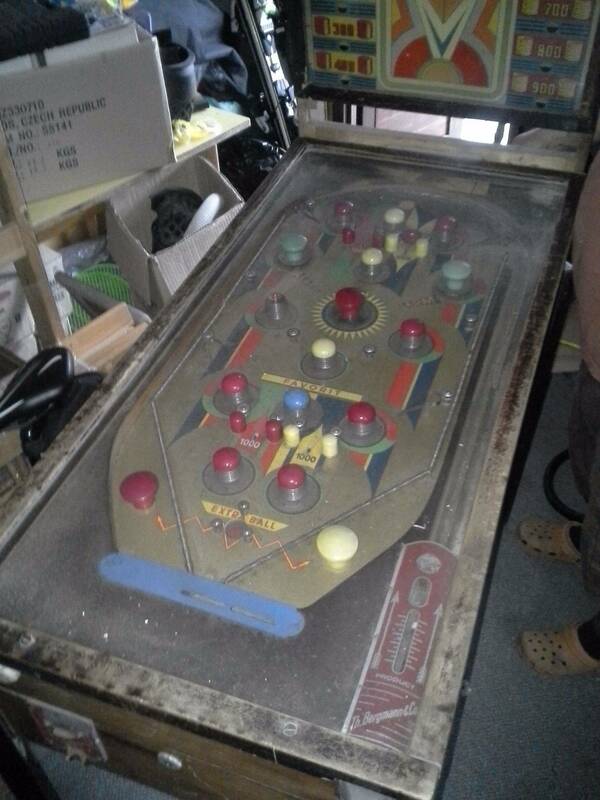 I can't see the cabinet condition and artwork and I can't tell if the legs are original to the machine or even on the machine. I can't see a coin slide. I will estimate 280 euros max. and would buy at 150 euros. Rarity doesn't improve value unless it is paired with demand.